Mobile internet usage continues to grow. In fact, global internet usage on mobile devices has surpassed desktop internet usage in 2014 according to ComScore. We at MIGHTYminnow have been early adopters of mobile-friendly standards, and currently ensure our client’s websites are developed to be responsive. A responsive website displays beautifully on devices of all sizes and offers no barrier for user interaction and engagement on mobile devices. Since Google’s search results are always about relevance, it makes perfect sense that they would serve search results to mobile device users that are mobile-friendly. This is exactly what Google will begin doing on April 21st when Google launches their mobile search algorithm, which will consider mobile friendliness as a ranking factor. Currently Google’s mobile search results include a handy label next to mobile-friendly sites letting users know that these sites will display well on their device. The next step will actually favor mobile sites in the search results. This means that if your website is not mobile-friendly, mobile users will have a hard time finding your website through Google search on a mobile device. To find out if you website is mobile-friendly, try Google’s Mobile-Friendly Test. Need help making your website responsive? Have questions? Contact us! In the old days, we used to write out in prose what content of the home page for a new website would be, and give that straight to a designer to draw. We used to create an outline of the pages in MS Word to show the site structure. We used to do sketches in OmniGraffle of what the various content blocks would be. In those good / bad old days, there were a lot of documents and a lot of extrapolation happening about how a site would be architected and how it would function. But now, with WordPress, it is just as easy (or more so) to do all of that planning work and architectural sketching by creating an actual, working website. We get a development website up and running at the earliest possible point we can in the website project process, so that everyone can see how it will be organized and what content will be included. From there, it is really easy to make changes in real time so that we can collaborate effortlessly with our clients on something that they can actually see and that feels like a website to them from the start. This process leads to better communication and *way* fewer design revisions later in in the process. Our clients want to maintain their own websites. Since most of them write their own content, it makes sense for them just to add that content to their websites themselves. In the old days, we used to have to train our clients on complex web development software (over a course of *days*) in order for them to be able to make simple content changes. And then we had to worry because it was so much easier for things to go haywire. With WordPress, web editors don’t need days of training, nor do they have to be HTML experts to be able to update their websites. The visual editor within WordPress allows even computer novices to easily edit and change the content and images on their websites using a word processing approach that feels familiar. In other words, WordPress gives users the power to maintain their own websites without the ongoing (and unnecessary) expense of a web developer. WordPress uses a plugin architecture that allows for developers all over the world to create and publish new features and designs for anyone to use. Open source (read “free”) and premium (read “paid”) plugins and themes allow WordPress users to quickly and (in most cases) simply, expand the functionality of their websites. For instance, if you have a restaurant with live music and you would like to post the events you host on your site, there are plugins that easily allow you to add, manage and promote these events, provide event details, and even sell tickets. (We recommend Events Manager / Events Manager Pro, which we use for class registrations on this site!) And because this is a smart CMS, you can even set events to stop showing up after they have passed, thus lessening the number of things you have to remember to go in and update on an ongoing basis. As another example, if you are a photographer and would like to include galleries of your work on your website, there are plugins upon plugins that allow you to create beautiful and easy to navigate showcases for your work. (We recommend Nextgen gallery to start.) There are even themes that specialize in presenting portfolio pieces. There are plugins and themes that accomodate just about any type of website or feature you can imagine, and there are thousands (mostly free) to choose from. WordPress is an open source CMS. This means that the software is available to use for free, the code is public, and the contributors to the software do so (mostly) out of the goodness of their hearts. The creation and continuation of the software is a collaborative effort of a vast community, and it is actively enhanced, maintained, and made more secure by that community all the time. And because the core software (and most of the plugins and themes) cost nothing, you can build your own custom WordPress site for just the cost of web hosting and your domain name. WordPress has many features that you can use to make your site more SEO friendly. Since WordPress makes it easy to expand your site by adding new pages and blog posts, most WordPress sites grow over time, which Search Engines like. Because most theme code is light and clean, pages tend to load quickly and be easy for Search Engines to understand. Because analytics tools like Google Analytics and Jetpack Stats integrate easily with WordPress, you can see how people are finding and interacting with your website and you can make changes based on this data to draw more visitors to your site (and to encourage more conversions). WordPress makes it easy to use keyword rich URLs, called “permalinks” that add archivable content to your site to give you a higher ranking in search engines. On top of all that, there are many plugins and methods to allow you to enhance your SEO through meta data and also to connect your site to social media to foster sharing and encourage visitors. WordPress is very popular – 53.8% of CMS based sites are built in WordPress (followed by Joomla at 9.2% and Drupal at 6.7%). 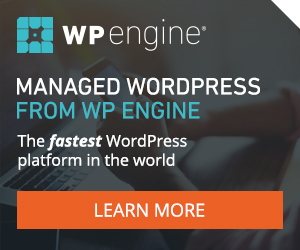 Over 72 million sites around the world are built using WordPress, including this one. This includes popular companies like Mashable, The New York Times, UPS, CNN, and many more. 22 out of every 100 new domains created in the US are running WordPress. This popularity is not just in the US, as WordPress is has officially been translated into 40 different languages, with more being translated every day! All this love means that if you encounter any problems with your site, there are literally thousands upon thousands of qualified developers who can come to your aid, including us! So, to recap, WordPress is awesome. We use it and so do a TON of other people. It is a sound technology choice for most websites – either theme based sites or custom designed sites – and there is a world of support available to WordPress website owners. You can use it for free, you can maintain your own site, and you can get up and running quickly. And if you need help getting started, fixing a problem, or making something beautiful, we can help. Feel free to reach out to us or sign up for a class. Google announced yesterday that it has made changes to the rankings of smartphone search results. They will be looking as some common issues with “desktop” sites when visited on mobile. If your site fails or behaves irrelevantly or annoyingly on mobile, you are likely to be dinged. Some websites have a URL for someone looking at their site on a desktop and a separate URL for users on a smartphone (often called an m. or “em dot” site). When the desktop page redirects a person on a smartphone to a mobile (m. page) that does not exist, or that does not have the same content as the desktop page (like redirecting the user to the mobile home page), this can frustate the user. The solution to this would be to direct smartphone users to the equivalent mobile page, and if this page does not exist, show the desktop version. Sometimes content that works correctly on a desktop browser does not work the same way, or does not work at all on a mobile device. One of the most common examples of this is when content on your site requires Adobe Flash to work. If your site uses Flash, it will not work on any iPhone or any Android version 4.1 or higher.